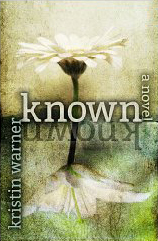 Home→Book Reviews→Spiritual Content→Review: “Known” by Kristin Warner: Why is this a Christian book? In many ways this is a good book, as in entertaining and uplifting. It’s clean but barely Christian. The heroes and heroines are honorable and admirable. The bad guys are nasty. The end is good. On the negative the escapes are too easy. But the real issue for me is how is this better than Clive Cussler? Clive’s books are also clean but barely secular humanist. The heroes and heroines are honorable and admirable. The bad guys are nasty. The end is good. Plus, the escapes are much more inventive and entertaining. General prayers occasionally made to a God who is not personally known are very disappointing in a book entitled, “Known”. There is certainly no interaction between God and son or daughter. They are not known— in the biblical sense. Of course, Jesus and the Holy Spirit were never mentioned. 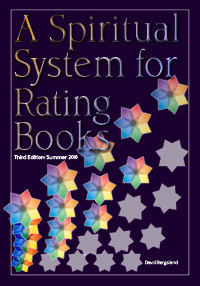 Should I feel a bit guilty because I gave the book a 4-star review? Maybe, but it was a fun read [though there was a lot of being overcome by the intoxication of a kiss, his look, his feel, and all that fleshly garp—pages of it, in fact]. There was nothing about his spiritual strength, faith, and wisdom. But then there was nothing about her spiritual maturity either, other than the fact that she was distractingly pretty. So, what can I say? I enjoyed the book, but it could have been so much more.